In the spring of 2010, a group of citizens came together and formed a non-profit corporation naming it the ‘New Ute Theatre Society’, NUTS for short. Comprised of downtown business owners, contractors and community visionaries, the group set out to rebuild the ‘UTE’ to its original Art Deco architecture. It was a daunting task, as City resources were scarce after witnessing the most recent oil and gas decline in Western Colorado. The first task was to obtain an assessment of what needed to be done with the building. 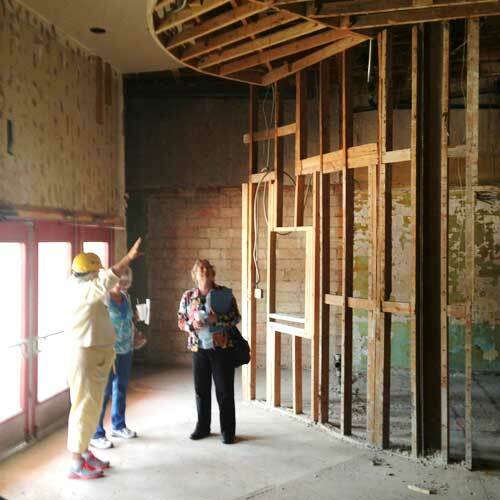 Through the State Historic Funds, a Historic Structural Assessment was accomplished for $11,000. Through fundraising efforts with memberships and donations, the NUTS group decided to renovate the facade of the building first and bring it back to its 1947 Art Deco style. With the front of the building complete, the public was thrilled to see progress, momentum strengthened and more fundraising strategies were explored. First on the list was the asbestos removal. With a grant from the Colorado Department of Public Health and Environment, this was accomplished. 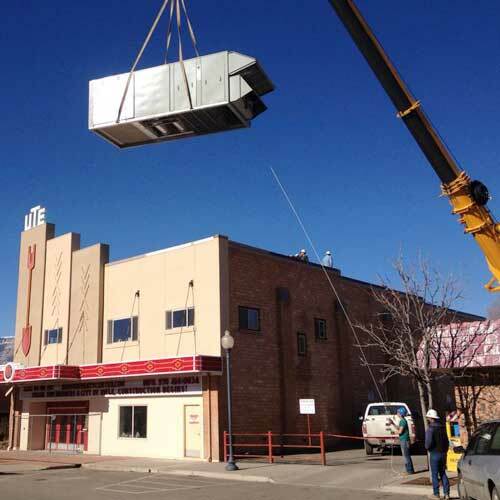 Through the efforts of City of Rifle, the Downtown Development Authority, and Visitor Improvement Fund, plans were made to work towards finding ways to fund the remaining interior renovation of the theatre project. Grants obtained from the Boettcher Foundation, Adolph Coors Foundation and the Gates Family Foundation gave propulsion to the project. Other grants came from American Shale Oil, Inc., Union Pacific Railroad, and private family foundations. Large scale grants include DOLA Mineral Impact Fund Grant, City of Rifle Capital Funds, Federal Mineral Lease District Funds and an unused Visitor Information Building Fund. 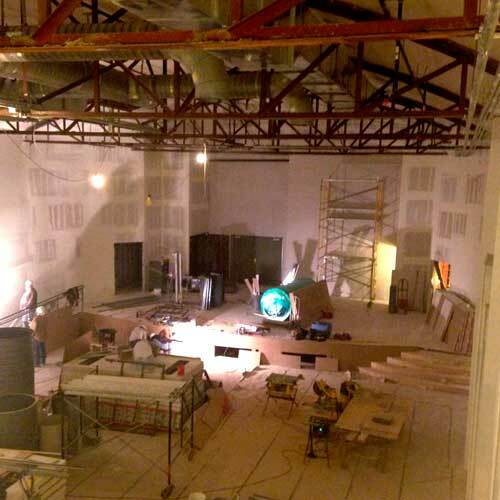 The plans for the ‘UTE’ include a mixed use approach with an expanded stage to hold performing arts venues, state of the art mechanical, electrical and digital sound systems, the ability to hold banquets, weddings and community events and become the catalyst in promoting culture and performing arts in Rifle, which are so desperately needed.